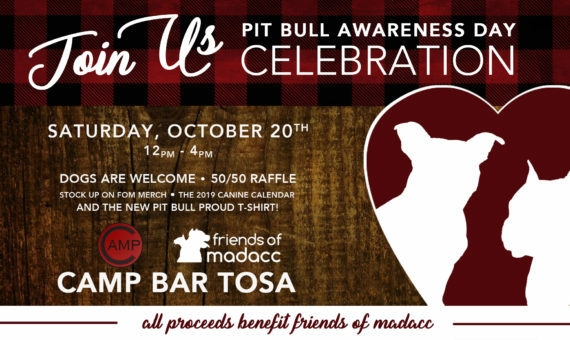 Join us at Camp Bar Tosa to help celebrate Pit Bull Awareness Day! We will have merchandise available for purchase, including our 2019 Canine Calendar and the premier of our new pit bull t-shirt design! We will also have a 50/50 raffle. Feel free to bring your friendly dogs and spend the day on the patio with us!